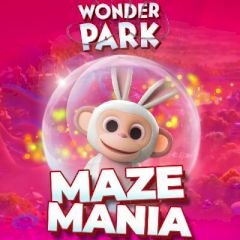 Wonder Park has a maze inside, which challenge you! Are you ready to complete a maze as a little bunny and find the portal? Start the game, collect various tokens of different colors. Use arrow keys and space bar for movement and jump. Try to find the portal before you run out of time and get more points for the run.